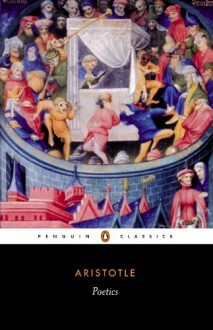 ‘The plot is the source and the soul of tragedy’ In his near-contemporary account of Greek tragedy, Aristotle examines the dramatic elements of plot, character, language and spectacle that combine to produce pity and fear in the audience, and asks why we derive pleasure from this apparently painful process. Taking examples from the plays of Aeschylus, Sophocles and Euripides, the Poetics introduces into literary criticism such central concepts as mimesis (‘imitation’), hamartia (‘error’), and katharsis (‘purification’). Aristotle explains how the most effective tragedies rely on complication and resolution, recognition and reversals, centring on characters of heroic stature, idealized yet true to life. One of the most powerful, perceptive and influential works of criticism in Western literary history, the Poetics has informed serious thinking about drama ever since. Malcolm Heath’s lucid English translation makes the Poetics fully accessible to the modern reader. It is accompanied by an extended introduction, which discusses the key concepts in detail and includes suggestions for further reading.